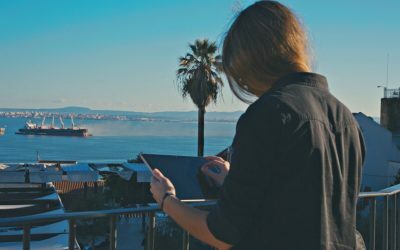 Cinematic music production is without any doubt a vast industry. Its approach to sound processing is in many cases much more complicated than producing a regular pop tune. Scoring and layering of many instruments is often a time-consuming process. 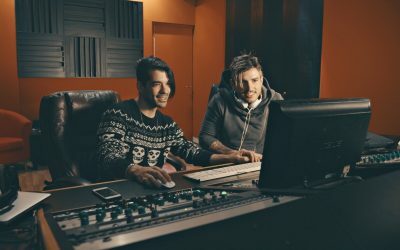 In earlier decades most of the sounds used in cinematic music required a live orchestra, expensive studio recording and lots of other aspects necessary to produce a great sounding movie theme for example. 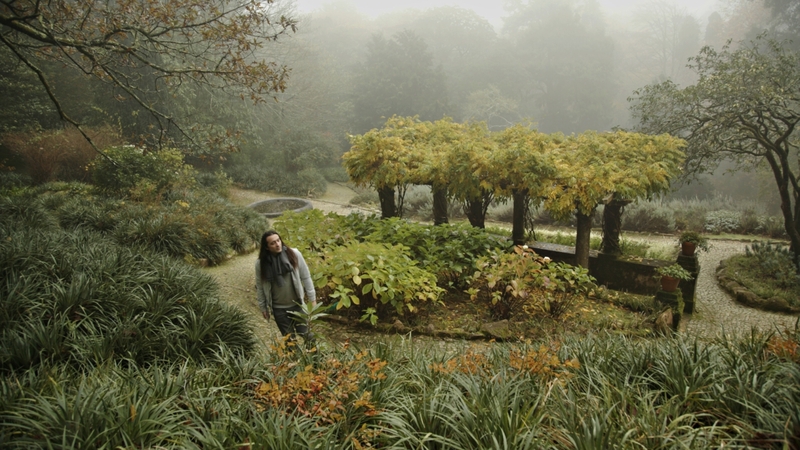 Recently, we were introduced to sound banks which contain pre-recorded live instruments and cinematic drum ensembles. As time progressed, these sound banks sounded more and more realistic, offering a lot of options for further sound manipulation. 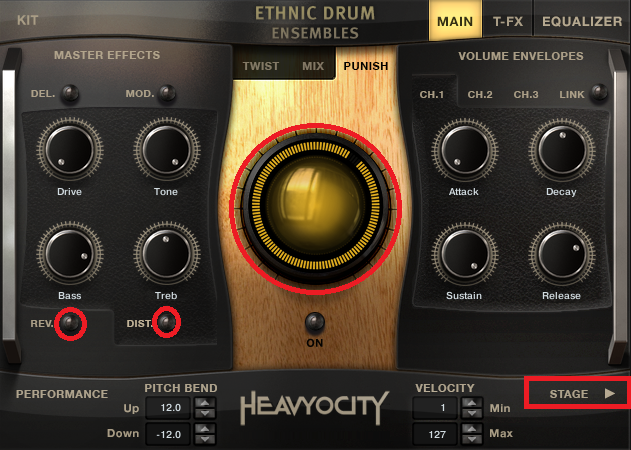 One of these great sounding sound banks is Ethnic Drum Ensembles by Heavyocity. Ethnic Drum Ensembles delivers six unique multi-sampled drum ensembles and over 375 tempo-synced loops. Each ensemble contains up to 12 different drums, performed simultaneously by seven players. Through creative processing and mixing, Heavyocity`s team composed bank loops to be inspiring and immediately useful. So, I have created a short loop in SoundBridge, and I will enrich it with drums from Ethnic Drum Ensembles sound bank. Let’s fist hears how the loop sounds without drums. Next thing to do would be to open a new instance of Kontakt player and place it on a new MIDI channel in SoundBridge. 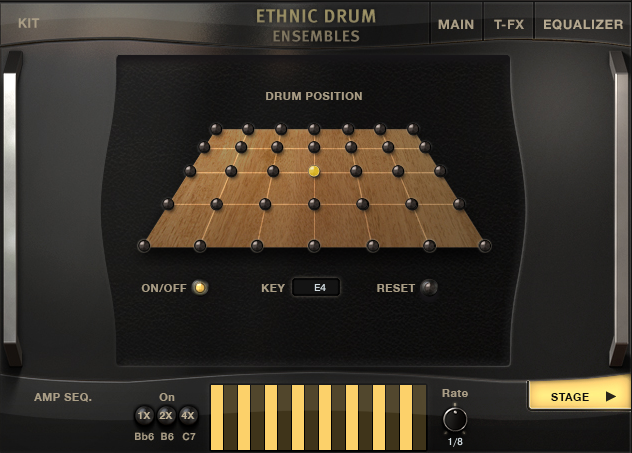 Additionally, in Kontakt, I will choose a new Ethnic Drum Ensembles bank. As I mentioned before the palette of sounds that this bank is offering is really big. However, for this purpose, I will select “Ethnic Mid Ensemble“ preset and make some drum sequence which we will hear next. The main part of the interface consists of a number of sections. On the left side, we can see the effects part (Delay, Modulation, Reverb, and Distortion). Moreover, the center section contains three parts. 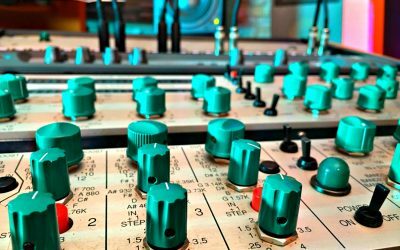 The Twist is used for further modulation, Mix which allows us to mix between 3 different microphone levels and Punish, which is a useful compressor/distortion processor. The right side of the interface is reserved for ADSR controls of 3 channels. Lastly, on the top, we have an equalizer and T-Fx section which contain more effects (distortion, filter, filter, panner, and delay). For this example, I will use reverb and distortion from the left side which I marked in red. Furthermore, I will compress the overall sound with the Punish effect, and on top all of that, I will pan positioning of different triggered drum sound by entering the “Stage“ section which you can see in the bottom right corner of the interface. In the Stage section, you can easily position the individual drum sounds by selecting the dots in the upper field. By doing this, the sound will become more realistic. After final processing let’s hear now how this drum sequence sounds, the first solo and then with other instruments in the mix.